Preparation is key. 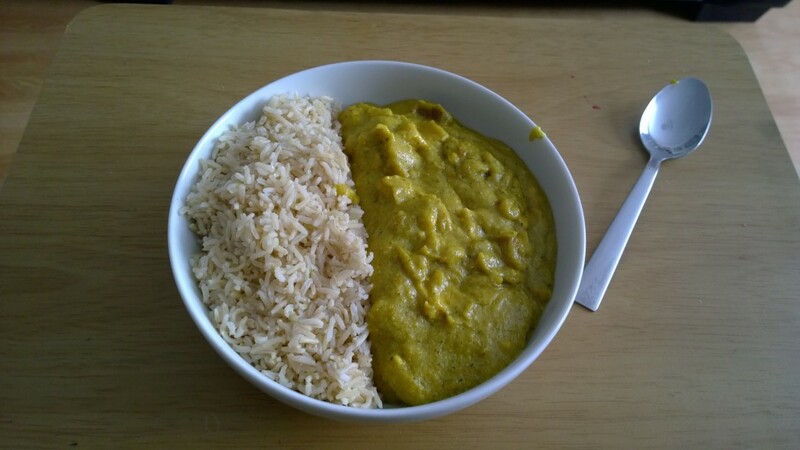 Only the best prep will make a delicious banango curry. Sure, I should call this Mango Banana as the mango is in greater quantities than the banana, but the banana has a stronger taste presence. Did I just use the phrase: “Taste presence”? Dear reader, I have worries about my sanity. I think I’m starting to become a food blogger! What? I am? Oh, well, that’s okay then. So, you might be wondering why I’m sharing yet another fruit curry sauce. There are a few reasons. Firstly, I wanted a veganised version of my Sweet Mango Curry, just because really, no greater reason than that. There wasn’t much to tweak, most of my recipes can be adapted to be vegan, many already have because of my insatiable curiosity. I wanted to try sous-vided chicken and a pour over sauce seemed the best idea, truth be told sous-vided chicken would be great for sandwiches, but the overly tenderized chicken was lost in the sauce. I’ll just add that the recipe is vegan, my use wasn’t, I won’t feel I have to keep mentioning that. I’d rather we look through the ingredients and their effects and reasons for inclusion. It’s nearly al fruit so you don’t need to cook it too much. Or to mush. The other reason I wanted this as a pour over was it could be made in a frying pan rather than a pot and because the ingredients don’t need that long to cook it could be made faster. I also wanted a reduced sauce as the mango sauce is usually overflowing and not everyone wants that much sauce. I mostly do single servings so I accept that sometimes you do with a bit more than you need, or than is visually appealing. See, everything has a reason when you’re creating a recipe, you just have to know the reason why certain ingredients are being used, the best way is of course to keep trying every recipe that’s available to you. A fruit curry wasn’t something I was familiar with or had ever eaten if I’m not mistaken, but now not only do I have a few recipes, I’m also making my own. I worry less about recipes being too similar these days as variety helps keep me happy and on track. Even if I never return to some recipes I still enjoy the process of creating them, sharing them and breaking down the different elements and techniques that make up the dish. So, again, why did I use what I used? The fruit is there because I’ve always sought a way to include more fruit into my diet without the need of disguising it. I find that when I used to eat smoothies for my fruit I’d end up making a much too large smoothie with too many additional ingredients, all of which mask the natural sweetness of the fruit, which in turns makes you less likely to eat more. That’s just me mind, there are plenty of recipes for healthy and balanced smoothies. My path to more fruit, more vitamin C too, supposed to help with histamine intolerance, no harm if it doesn’t, was just a little different. That’s the way these kind of trials go. You have to find your own way and you can’t always make yourself fit what you feel is the norm. Fruit in curry works best for me. Maybe it’ll work better for you too. I drew a line with the spoon and it refused to slide back completely. Why hemp? Because of the unique billowing texture it brings to the curry. I find it can feel too filling at each mouthful, yet the feeling never lingers, it’s more of a psychological one: It feels very rich and decadent and I’m attuned to avoiding too much food like that. I won’t say it’s a vegan cream or anything so hyperbolic, but it gives a wonderful depth of texture and thanks to the spices the flavour of the hemp hearts are masked and they in no way spoil the flavour of the other ingredients. I feel hemp hearts are vastly overlooked and underutilized in cooking and in general. There seems to be a preference towards hemp protein powders, but I like whole food whenever possible. My kitchen timer broke and nearly ruined my rice. I bought a new one…finally. You can possibly tell that this uses a single serving of my Sweet Nightshade Free Curry Powder which I like when using it to increase the sweetness of a dish, but I find that it doesn’t work as well as a general curry powder, but since I have two that can be used like that already (Here and Here) you can just make use of its uniqueness. It’s a shame that so many recipes rely on pre-blended spices or just uses general terms when calling for spices. You know the ever ubiquitous “Curry Powder” which usually means one with nightshades and if you replace it you will greatly alter the dish. At least if they tell you what it contains you’ll know whether your substitutions will work. I find nightshade intolerance is the hardest part of my diet on the whole. There are just some spices that can’t be replaced and you sometimes have to take a different path entirely to get new recipes. I haven’t really touched on taste, have I, dear reader? It is a sweet curry, don’t think the onions and garlic will drastically alter that. The spices give it a sweet pop, while the banana give it a fruity undertone. I find the mango the least flavoursome aspect of it. I have substituted the honey in the original with maple syrup, it adds a lot of sweetness, you might have to adjust to preference. I did mention hat the chicken was too ender when compared to the sauce and I think tat what might work best here would be something crunchy. Maybe roasted vegetables as you can cook them separately and just stir them into the sauce when it has reached the desired consistency. You can also freeze this sauce, perhaps freeze it into individual portion for a little fruity kick. That’s a lot of writing to break down such a simple recipe, eh, dear reader? Still you never know when a seemingly dull bit of knowledge might be useful to someone out there. I do often wonder how many of these recipes are tried, I have had comments, none bad as far as I can recall, but there’s a large disparity between comments and views. I make these recipes because I enjoy it and because I need to eat too. But if they happen to help that’d be pretty great. Perhaps there’s another me out there that needs the help like I did all those years back and they won’t have to struggle as much as I did. Who know, dear reader? I’ll see you later. 1. Heat Olive Oil in a pan and when warm add Onion and Garlic stir and let cook for 5-10 minutes, on a medium heat, or until soft. 2. Add Coconut Cream, Spices, Mango, Maple Syrup, Banana, Hempseed and then stir together and simmer uncovered until mango is soft. 3. Pour everything into a blender and blend the sauce until smooth and return to pan. Cook at a medium simmer until sauce reaches desired consistency while being careful not to let it burn. No longer awash in sauce, now just sauce adjacent. 7th May 2017 Update: I’ve tweaked the recipe so that the sauce will reduce further and as a bonus the flavour is also intensified. I’ve also listed the sultanas as optional, use them if you can and if you want an even sweeter curry. Ah, curry, well nightshade free curry. Still, curry is what I’m saying. Curry. I just popped off for some rooibos tea and to tear the neighbours teabags. Hmmm? What did they do to me to deserve such ill-treatment. You have me all wrong, dearest reader, they drop down their used bags and vegetable peelings for my compost. Working with three bins means I have plenty of room for recycling. An untorn teabag is useless in composting, unless it’s able to break down and many aren’t. Tea, coffee grinds, and occasionally horse muck, are the keys to fast breaking down rich compost. You came here to have your taste buds tantalised and instead I’m talking about equine excrement. What a load of horse sh…Woah! This is a family blog. Heh. This is where food comes from. I hope to have my own compost to feed my squash next year. My recycled planters already contain this year’s compost so that’s a start at least. I regret not making a gift-horse oral-observation here. But, hay, what can you do? So, Curry? Anyway. Oh, come on, impatient reader, I have tales to tell and a virtual captive audience, imagined possibly? Sure, but still. Today I was running putty. Yeah, I didn’t know what that was either. Well, truth be told I’m just jamming the putty in the gaps and someone else is cleaning it up. This will seal the greenhouse, which is an extraordinary amount of work as it’s huge, old and the weather hates me. But, it’s getting there. All the perspex is almost in and the putty is filling it all up. Though it seems to be eating it. Next year I’ll be able to stand in my green house, hopefully, surrounded by my herbs, flowers and vegetables. It’s an investment, expensive this year, as is the garden, though I’m helping as much as possible to alleviate the cost, but it’ll be worthwhile in the years to come. A epoch in the annals of the life and times of your friend Jack. He of the puttied shoes and siliconed tracksuits. So, we reach the recipe. I’ve been eating my Mango Curry for a while, but it’s not clicking with me. It’s too bland without the chilli heat. So I accidentally discovered a better way to prepare it while just screwing around. The result was a sweeter, richer curry sauce. I like a lot of sauce, which makes for great eating, but terrible presentation. You’ll have to adjust the recipes here to suit yourselves, if I tried to please everyone I’d be a gibbering wreck, or more of one. What you now have is a sauce thickened by the fruit and hemp. I think the extra butter might help too. It’s really smooth and luscious. It’s a bit sweet, which may cloy if you’re not a fan of sweet savoury dishes. It’s a great way to get some fruit and spices into you. As for the taste, well….it’s got a kick of honey. My tastebuds aren’t connected to my verboseness. 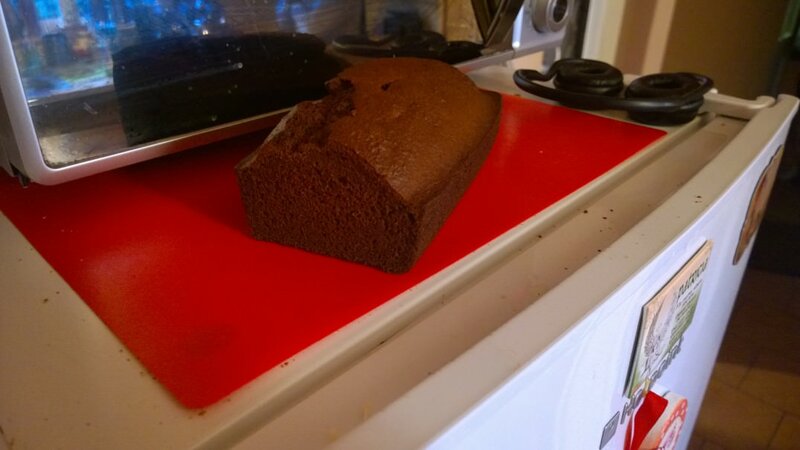 Food is either good, bad or in the case of my amaranth bread test: Oh! God! Blearg! Ewwwwwwww! Do be careful when boiling down not to burn the sauce as it will become sickly sweet. I think I’ll be less likely to tire of this. I use the same meals for a fortnight of meals so getting tired of one is rare but it does happen. As always you could leave out the chicken and go for a vegetable medley. See you sooner rather than later. Oh! About the curry powder, I couldn’t cut down the original to fill a teaspoon, as I have done before. But it’s a nice blend and it never hurts to have around, right? If you can do nightshades then any hot curry powder would work. 1. Heat Butter in a large non-stick pan and when melted add Onion, Garlic mix and let cook for 5-10 minutes, on a medium heat, or until soft. 2. Add Coconut Milk, Turmeric, Curry Powder, Mango, Honey, Sultanas if using, and then stir together, bring to a boil, reduce to medium and simmer for 10 minutes. 3. When 10 minutes is up add to Blender and return to pot when smooth. Add the Chicken and bring to a boil, then reduce to a medium simmer and cook for 15 minutes. Increase heat if a thicker Sauce is desired, but be careful of burning. Banana Mango: Replace Sultanas with a Chopped Medium Sized Banana. Looking over my Facebook “Memories”, yeah, I don’t lead an exciting enough life to need that much reminiscing, I just found out that today marks the first full year of using buckwheat flour. If it wasn’t for a tip that it was in stock at a local supermarket I may never had bought, what has quickly become, my favourite free-from flour. It’s funny how important these ingredients come to be in your life. Some, like amaranth, sadly are like ships passing in the night, never to return. It’s one of the reasons I try as much as possibly with as many ingredients as I can get my hands on, you just never know when something will stop being stocked and if you’re too reliant on it it can be a major blow. I suppose I should do a little run through of my Buckwheat Flour recipes. I’ll link them as I go, so check them out. I prefer the Squash version of this as it’s easier on my stomach. I’ve never actually eaten gnocchi in it’s usual potato form, I like this so I guess I’m not missing much. Back in the fat days, which I will forever refer to them as, I used to eat these by the dozen. Literally. I’ve only made this once, it was really amazing, especially how the buckwheat complimented the frangipane topping with it’s dry crunch. It’d be even easier with the tweaks I’ve made since to the dough. Maybe for Christmas. I used to live on oat cakes, which were all the while driving me to distraction with Dermatographic Urticaria. I had to figure that out all by my lonesome, same as everything else really. These are just as good, even better than to the no rash part. It’s a shame there aren’t more recipes using buckwheat flakes like this. So versatile. This has spawned so many recipes, it’s almost staggering to imagine it came from the back end of some forum way back when. I’m glad I found this, even more glad I kept fiddling with it. I love the fact that buckwheat plays a major part in the flavour of these, yet they still remains sweet. I love these made large with some Buttercream. Too good to make too often. I think I prefer these as savoury crepes. The buckwheat just lends itself well to spiced meat fillings. It’s shame they don’t freeze well. I have way too many crumble recipes. Hopefully if all goes well I’ll have plenty of strawberries for crumble next year. Another recipe that has gotten a lot of use with variations. Simple, but tasty, I guess I just really love the taste of buckwheat. Maybe I should’ve tried these as a savoury pancake, but they’ve never really clicked for me. Just one of those things, I guess. Three flours, three recipes. Peanut Butter cookies seem to be mandatory for celiacs. I have a few recipes of this ilk to boast of at least. Not a bad biscuit. Another recipe that I wish would freeze or at least keep better. I really don’t know why this goes stale so fast. A shame, but if you’re feeling hungry, no great loss. You know how I feel about this wonder. This gem of the ocean, this acme of free-from pastry. I thrill at its proximity. Bonus points to anyone who knows who I’m referencing. I just find buttermilk, meh. I know I have a few recipes I’m not wild on, but if they work I save them. Simple. You never know when it’ll come in handy. I think this was a quinoa flour recipe first. Ah, my old standby. Well new standby. Whatever. When my supply of genuine Mexican tortillas dried up I did what any grown up would do, I complained a lot. Eventually I cobbled together a replacement, which has done well in all it’s varied uses. 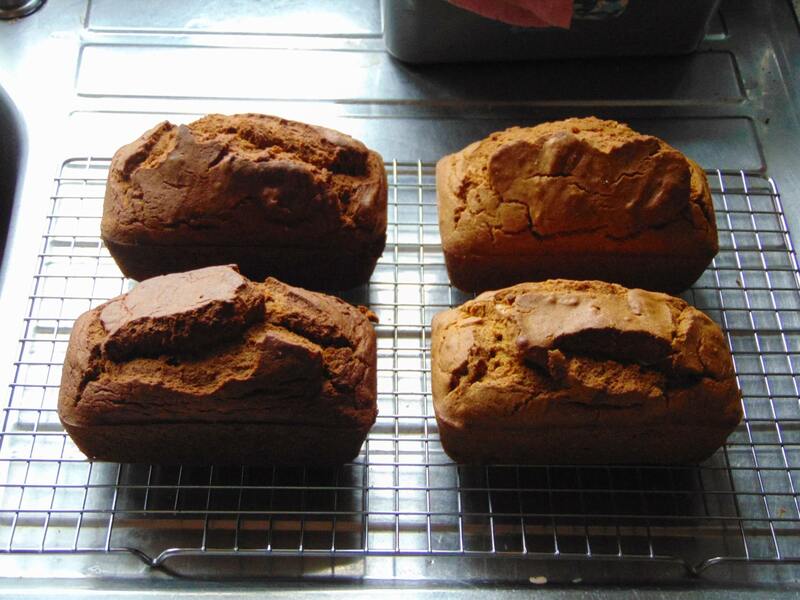 Treacle bread was a staple growing up. It was really great to get a recipe together for myself and to even take it in unheard of directions. Probably one of few Irish recipes here. Not that there were that many growing up, food was simple home-made fare or from packets., though treacle bread was never anything but baked fresh. A handy way to get some good into you and what has become a delivery system for squash in many delicious ways. I’m still eating my way through my Gingerbread version. Quinoa flour made these work, but they started with all buckwheat and still use the flakes. A nice, knobbly biscuit. I should make some soon. The weeaboo in my wanted these and the baker made them work. Still one more version in the pipelines, so stayed tuned. Started with a flax version, but I prefer the less egg heavy, more solid buckwheat version. I usually split this with a vegetable bread and have one each week. They all freeze well. Sure, the Rice Flour version gets more use, but this started it all. A tester for thickeners, but helpful for those who need to know what will thicken and, roughly how much to use. So that’s it. Here’s hoping for another year of great buckwheat recipes! It’s finally the day. A whole lot of blood, sweat and Googling and I’m the proud owner of ten (One already used) Harlequin Squash. I never thought I’d see a single squash. This is my first year gardening and I couldn’t be more pleased. I’ll just add that I’m really under the weather, very little sleep, back and head pain coupled with some kind of bug, so if anyone of this seems odd or off that’s why. In saying that I still stood for four or five hours in the kitchen working at this. That’s the thing I mention a lot to anyone asking, there are no breaks when looking after yourself, weight slips back on as habits slip away and health takes a dive. That’s harsh, but look at me, I went into that kitchen barely able to stand and still pumped out all this wonderful food. It all stands to you, hard work for your health does help you, even if you feel it won’t be worthwhile it is. Something that’s been bothering me is the people seeking an easy way out of weight and health problems, or rather the people exploiting that weakness with fad diets and magical cures. You have to answer to yourself and look out for yourself. There’s a little piece I posted last night on my Facebook I’d like to share here. It’s a tad harsh sounding, but well intentioned. I wish there was something simpler and better I could share, but even with all my experience I’m still only able to tell you the hard truth, it’s better than easy lies. The recipes will follow. I just feel like I want to put this out here, maybe it’s the kick someone needs. I was given something similar once myself and have been ever thankful since. It’s strange watching others starting their own weight-loss journeys. I happened to see two, just Yesterday, online. Two strangers, worlds apart, trying to do their best. The funny thing is how little I could help either if I was asked. There’s nothing to say, it’s all up to them. All these years and the only advice I could offer is, simply, just get on with it. That sounds terrible, but it’s true, it’s up to the individual to sort out themselves and they’ll always have to fall back on their own strength rather than relying on others. Sadly many people, some with good intentions, many just arrogant enough to think they know best, will try to advise and will probably do more harm than good. If you make the person feel they’re being observed it ups the pressure exponentially, don’t get me wrong praise is fine, wonderful even, but groundless praise can be damaging as the individual in question can now blame you if they’re struggling. Why? It’s stressful and any outlet for that stress is acceptable, couple that with the idea that you’re somehow pressuring them do it can give them an excuse to stop. Like I say, well intentioned people can be forgiven, but the jerks who rant and rave will do untold damage. Ultimately I think it’s best to get the bare help you need, keep quietly chugging along, not alone, or at least not hiding what you’re doing, that’s dangerous, and wait until you’ve accomplished something of note, then, well then just get over that and keep going, it’s a journey that lasts a lifetime, you can’t stop and soak in the praise for each and every achievement. Let them add up and then be proud of them, but never stop. It’s always on you to keep going, if you only have yourself to answer to I feel you’ll always have a better chance. Support is great when needed, but too much becomes suffocating and will cause damage. I guess what it boils down to is simply being everything you need in yourself: A harsh disciplinarian, a supportive friend and a student because you’re going to need to learn a lot. Supportive people are wonderful, but they shouldn’t be the ground you base your foundation of a healthy life on, that should be all you. Let them help you with the building, but know you’re the one who’ll hold it up. It’s tough, but if it wasn’t we’d all be doing it, wouldn’t we? From 4150g to 2500g. That’s a lot of peel and seed fibers. You’ll notice that the Weight Loss tag is never tips or tricks, just thoughts and some general advice, I won’t be writing guides or tutorials, but I will offer what help I think will be beneficial. I do say I sometimes feel harsh saying things like the above, but I suppose I can only say look at these recipes, look at the lunkhead telling you all this. I did it, and cliché mode to the max: If I did it, anyone can. You just need to know a few truths, there are probably better people to listen than me out there, but soak it all in and form your own views. Now, shaddup me, the squashes are calling. So as you can see I went with a little mash, thankfully plain because if it wasn’t I never would have seen my bread as I had a kitchen accident where some squash met the floor and that nearly stalled the bread, but no pepper, no butter and no salt means I could use some of this batch instead. One thing I have to say and I’m really peeved I’ve never seen it mentioned before. Harlequin squash is exactly the same as a potato. Solid enough when steamed and when mashed is still firm. That’s something worth investigating if you’re nightshade intolerant (Which is rarely covered even now) and want a replacement for a potato. Taste-wise it’s different, but the texture matches so well you’ll forgive it. I regret not getting to sauté it, there’s always next year, eh? This is the closest this recipe has come to a potato version. Still couldn’t get the right trays. Eh, they’ll do. I really love the yellow colour of the cooked squash (Speaking of colour the Hokkaido Pumpkin Gnocchi had a beautiful; orange hue when cooked, they looked stunning). It gives the ole cottage pie a real bright look and with the aforementioned texture it means I can’t wait to try these properly. The only change today is the topping. There are now four variations of topping to try. As always you can add as much vegetables in the filling as you’d like, even leaving out the mince if vegetarian. Maybe shred some vegetables and cube others for texture, the sky’s the limit. Seriously, look at that colour, I grew that. Me. Woah. And now…Bird’s Custard?! Nah, It’s Pasta Sauce again! Now the Hokkaido Pumpkin tasted lovely in this sauce, or thick soup as I keep calling it, but this is just something else. It’s the limit it is, it’s eggs in my coffee, it’s…okay I’ll stop. What it is is really creamy, it poured out from the blender like a thick cream, with a lovely subtle sweetness that worked so well with the onion and garlic. I was weary of trying this as I thought it’d just be a waste and perhaps end up as a thick mess. Now I think if worked with it could make an amazing vegan mac and cheese sauce. That’s up to a better cook than I, one with access to these squash outside of a garden too. The brown one is just my Buckwheat Nutty Banana Bread minus the banana with carob. I wanted one slightly sweet bread and one nutritionally dense one. What, asks you gentle reader, is a bread doing in this squash post? Heh heh heh, read on. Hmmm, what is this bread, or loaf rather, that I’ve posted? It’s a buckwheat base as are all my breads, it’s soaked, not unlike my Treacle Bread can be, it has rooibos tea and some Mixed Spice, some cherries and sultanas and what else, oh yes, some harlequin squash! Hah, some of you are reading this incredulously, whist others are feeling rather peculiar, perhaps a brave few know the wonders of squash breads. I’ll add all these recipes to their respective pages, but I’ll just say a little on this here. I ditched the sugar this time as I found it too sweet, I went for a fairly plain loaf. What the squash does here is give the bread a lovely springy texture closer to a wheat-based version of the same recipe. It’s oddball, but I love it. It makes it more than it could have been given any other ingredient. The taste isn’t changed much by it either, there’s a hint of mixed spice, the sweetness of the sultanas tamed by the strong rooibos. Nothing overpowers or overwhelms. You could make it without the squash, try it with first and you won’t want to leave it out. I always knew these as Glacé Cherries, I assume that’s the common name, but you never can tell. This has been a long post, I’m honestly holding myself up, so I guess it’s time to wrap this up. I had an absolute blast today with all this food. This is what it’s about, finding your happiness even in your work and, yes, this is work, let no one ever undermine the hard work you’ll put into minding and improving your body and health. I have recipes to update, sort out and hope I remember them all. Until later! I like to bake it in two small tins. Better crust to interior ratio that way. The light one is Peanut Butter and Uchiki Kuri. 29 October 2017 Update: It’s funny to think that I’ve been eating this bread for a couple of years now, if you’d like an in-depth look at it you can get that here, but I’ll give you a simpler rundown here to. This was born out of a need to have a bread that wasn’t plain or tasteless. I really disliked banana breads, for their often high sugar and their mushiness, I’ve always rebelled against mushy free-from breads, I’ve long since paid my dues and will not be returning to those. So instead of just banana I tried peanut butter, I’ve used nut butters extensively in my cooking and baking, they’re a real asset, but they can make the bread a little too dry, firm, but crumbly, so the banana, though I use squash more nowadays, brought the necessary moistness. So you have a flavoursome bread, a few extra additions don’t hurt either, well textured that cuts without crumbing and freezes beautifully. I’ve left out the hempseed in recent times as it sometimes felt too soft for my liking. Probably due to the squash’s moistness. Play around with the recipe, it’s pretty forgiving and I’m sure you’ll find a loaf that suits and satisfies you. Until later, dear reader. This has been split off from the Buckwheat Flour Breads page as it’s getting a tad crowded in there. There’s also a new variation below. I’ll expand on that at the bottom of the page. 2. 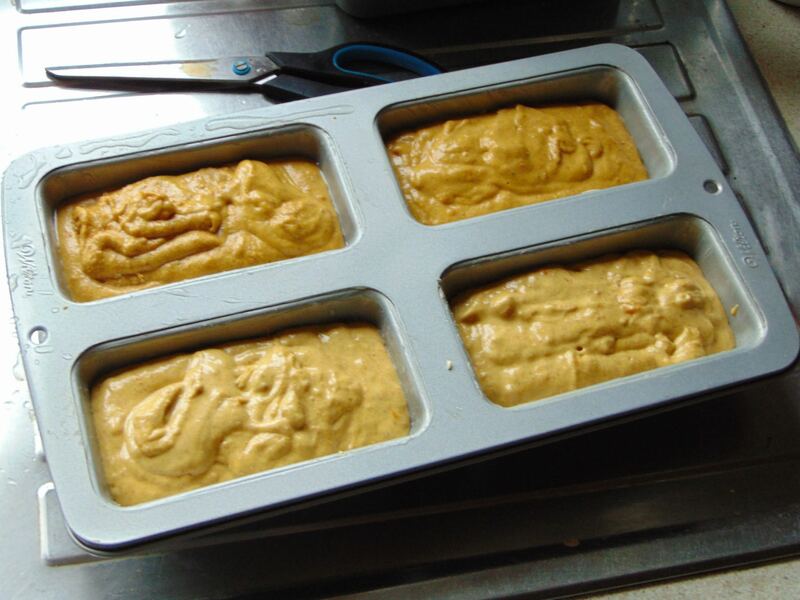 Grease (With Butter or Olive Oil) and line a 4 1/2 inch spring-form pan or a 6×3 inch loaf pan. 3. In a large bowl mix together the Egg and Olive Oil. Add the Buckwheat Flour, Hempseed and Baking Soda and stir until combined, then add the Water and Maple Syrup and stir until a thick Batter has been formed. 4. Stir in the Mashed Banana until combined and finally stir in the Peanut Butter until everything has been blended together. Add more Water if Batter is too thick. 5. Pour batter into prepared tin and bake for 40 minutes, turning halfway if needed, until golden brown and a skewer comes out clean. 6. Cool in tin for 20 minutes, then remove and let cool completely on a wire rack. Almond and Blueberry Loaf: Replace Peanut Butter with Almond Butter and replace Banana with 100g Frozen Blueberries. Prepare as usual and mix in Almond Butter first then fold in Blueberries and bake for 50 minutes. Top with Flaked Almonds before baking if desired. I like the addition of nut butter to a bread, it adds a different taste than just spreading it on and it saves messing around with knifes and what have you. I also had to add some blueberries because nuts and berries are a great flavour combo, or fruit and nut as I thought of this, and it was just too tempting an idea not to try it as a bread. I eat this twice a week for teas with a high fibre cereal. I can’t buy breads to eat so I like to vary it up a lot to make up for the work it takes in making them. These would make great lunch box fillers as they really fill you up. It tastes really nice, it’s not sweet, but I could easily eat it plain without anything added. I will probably try making some chia jam and it’d go great with this bread. A watch-this-space if you will. I’ll keep this updated as I experiment with new combinations. Hokkaido Pumpkin and Peanut: Use 100g of Hokkaido Pumpkin Purée or any Sweet Orange Squash Flesh Purée instead of Banana. Everything else is the same. The brighter one is the vegetable bread. Made with Uchiki Kuri squash. Darker when baked. For an in-depth breakdown of this recipe click here. I’ve neglected to mention anything about this bread, haven’t I? Oh, sorry, about that, dear reader. These days I primarily make the squash versions. They’re a really light bread, more of a cake in some ways but in no way as sweet. They cut well and freeze wonderfully, but they’re not a bread you’d thinly slice. Large chunk, slathered in butter when possible, served cold or warm, warm out of the oven is delicious, they’re a treat. The gingerbread version is a firm favourite of mine as it’s a firmer, heh, loaf and the taste is just amazing. It’s gingerbread as I grew up knowing it. Don’t let the vegetable aspect scare you away, it adds moisture, texture and taste and doesn’t jar at all. I’ve been eating these for a couple of years now, twice a week every week and they’re so handy to have when your options are limited in regards food and choice. I hope you’ll enjoy them as much as I have and continue to do. Makes one 12 slice loaf. Can be frozen. 3. In a large bowl mix together the Butternut Squash, Sweet Potato, Egg, Olive Oil and Brown Sugar. Add the Buckwheat Flour, Hempseed and Baking Soda and stir until combined, then add the Water and stir until a thick Batter has been formed. Add more Water if too thick. 4. Pour batter into prepared tin and bake for 40 minutes, turning halfway if needed, until golden brown and a skewer comes out clean. Pumpkin Spice Butternut Squash Bread: Use 200g of Butternut Squash Purée and leave out Sweet Potato, use 50g Brown Sugar and add 2 Tsp Pumpkin Spice along with Egg. Bake as normal. Hokkaido Pumpkin Cinnamon Bread: Use 200g of Hokkaido Pumpkin Purée or any Sweet Orange Squash Flesh Purée and leave out Sweet Potato, use 50g Brown Sugar, add 2 Tsp Cinnamon along with Egg and add 150g Sultanas or Raisins just before the Water, leave out the Hempseed. Bake as normal. If using Olive Oil omit Water and just add with wet ingredients. 2. Grease, with Butter, and line a 6×3 inch loaf pan or Grease and flour a Bundt tin. 3. Add the Butter and 30ml Water to a pot and heat on low until Butter has melted. Remove from the heat and let cool completely. 4. In a large bowl beat together, using an electric mixer, the Pumpkin, Egg, Treacle and Brown Sugar. Then beat in the cooled Butter. Finally add the Buckwheat Flour, Spices and Baking Soda and beat until combined, then gradually add Water as needed, stirring until a thick Batter has been formed. 5. Pour batter into prepared tin and bake for 60 minutes, turning halfway if needed, until dark brown and a skewer comes out clean. Cover for the final 15 minutes with greaseproof paper to prevent burning.